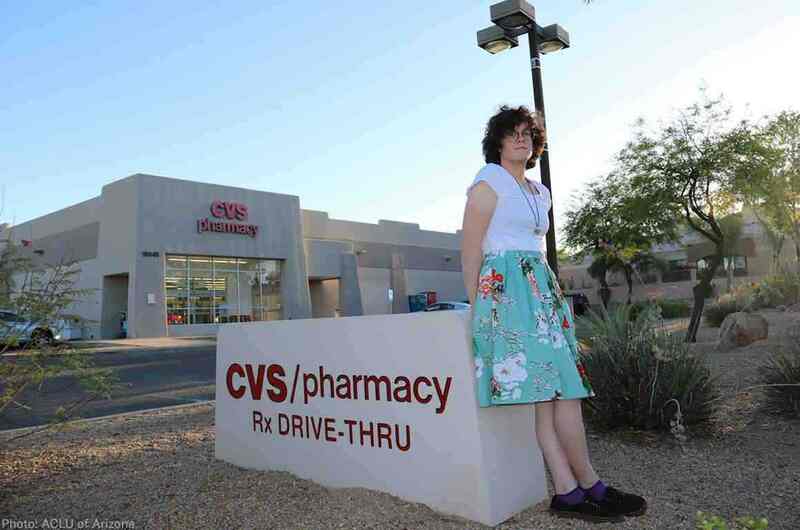 PHOENIX, Ariz. — The popular pharmacy chain CVS says that an Arizona pharmacist is “no longer employed” with the company after he declined to fill prescriptions relating to a gender “transition” for a man who identifies as a woman. On Thursday, the American Civil Liberties Union (ACLU) shared a story written by the customer, who goes by the name Hilde Hall. He outlined that in April, after leaving a doctor’s appointment, he went to CVS to have his first prescriptions for hormone “therapy” filled. “I was finally going to start seeing my body reflect my gender identity and the woman I’ve always known myself to be,” Hall wrote. The pharmacist at the Fountain Hills CVS who assisted Hall repeatedly inquired about the purpose of the prescriptions. Hall did not wish to answer and didn’t like the volume of the pharmacist’s voice, nor the fact that he was asking in front of customers and staff alike. Hall said that the pharmacist—whose name has not been made public—would not give the prescription note back, so Hall went home and called his doctor’s office, which placed a phone call to the location. The pharmacist declined to fill the three prescriptions, but did not state why. He also called the CVS corporate complaint line and filed a complaint with the Arizona State Board of Pharmacy. The ACLU additionally created a petition calling upon CVS to issue a public apology, which generated over 20,000 signatures. “No healthcare worker should rely on personal beliefs to reject decisions made by doctors and their transgender patients about medically necessary care,” Hall asserted. “In fact, CVS pharmacists were directly involved in the development of the HRC’s resource guide for providing pharmacy care and services to LGBTQ patients,” it divulged. In an opinion piece for AZ Central, Téa Francesca Price suggested that those who have religious objections to synthetic hormones or abortion pills should rethink a career as a pharmacist. Arizona law allows pharmacists to decline to fulfill prescriptions for abortifacients or contraceptives on religious grounds, but doesn’t mention drugs related to so-called gender transitions.